A bonded hoodie that can keep the elements out, the DC Snowstar FZ DWR hoodie is ready for your next day on the mountain. Featuring a bonded polyester fleece construction, the DC Snowstar FZ DWR Hoodie features an EXOTEX DWR coating that is water resistant to keep the elements out. An internal media pocket with a media cord outlet allows for headphones to run through the hoodie without having a tangled mess of cords. Ribbed cuffs with thumbholes add comfort and an integrated neck gaiter creates even greater utility. 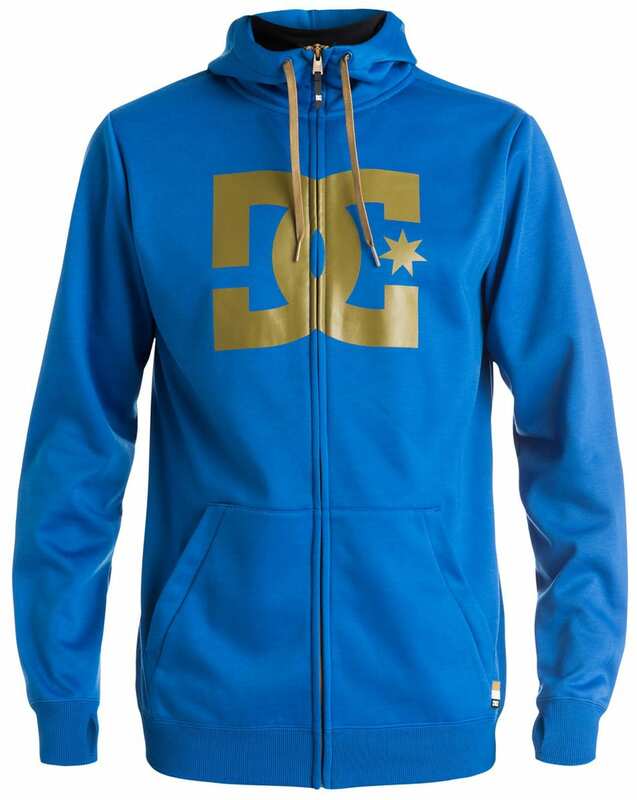 Ditch your old, worn-out, cotton hoodie, for the DC Snowstar FZ DWR Hoodie. Really warm. Definitely gonna be perfect for those spring days on the mountain. Love the neck gaiter that comes sewn in. 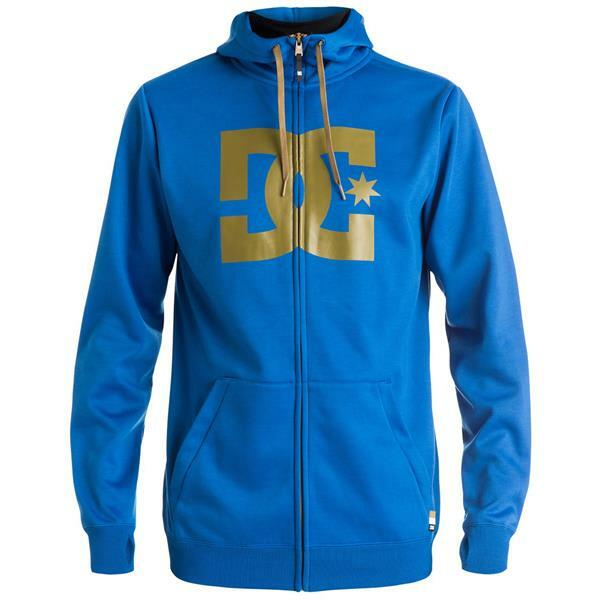 This DC full zip hoodie is truly a quality product. The material is designed to release moisture and retain warmth. Fits perfectly and The House provided great customer service. I'm 6'2, pretty thin and got a Large. The fit is pretty nice and has quickly become one of my favorite hoodies. I've been using it for snowboarding and the neck gaiter does the trick. The thumbholes are nice, as the sleeves are long enough to casually use them, but they're not comfortable enough to use inside snowboarding gloves, which is what cost this rating a star.